If your child is ready for a scooter but not quite ready for a 2 wheel scooter, the new Kimber Verve Scooter by PlaSmart is a great choice! 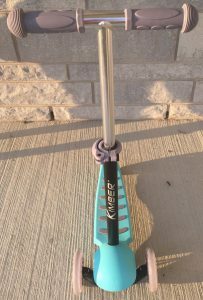 The Kimber Verve Scooter is safe and steady for younger children but yet fun and fast enough for older children! 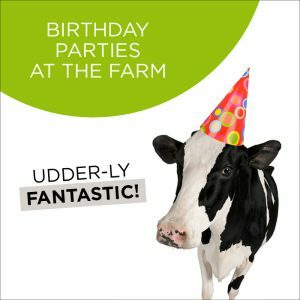 The wheels are made of polyurethane (PU) which makes it great for both outdoor and indoor use as it will not damage hardwood floors so it’s perfect for the upcoming (hopefully not too long) Canadian winter! The handle bar is made of soft rubber hand grips which is great for indoor use as it should protect walls and other surfaces. 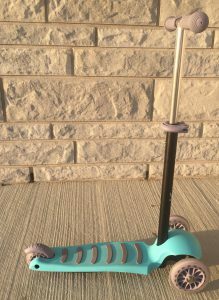 The foot deck also has grips that will prevent kids from slipping while on the scooter! The handle bar doesn’t turn, instead kids will have to learn to lean & shift their weight from side to side in order to make a turn! It is a bit tricky to learn in the beginning but practice makes perfect and once they figure it out it will give them more balance! The handle bar can be easily adjusted to 3 different heights as they grow and the brake is on the rear wheel. It comes in 2 colors, red or blue. 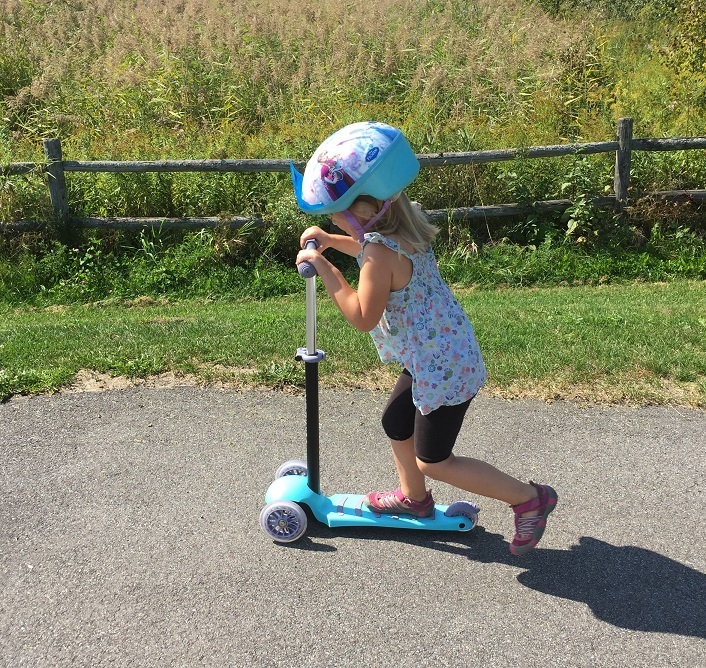 All in all, the Kimber Verve Scooter by PlaSmart is a great product that kids between the age of 3 and 5 will love and can use year round! 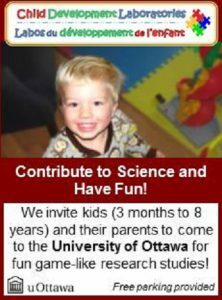 Disclosure: Ottawa Kids received this product for review. All opinions are 100% our own.